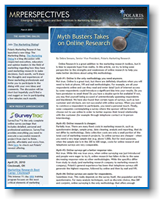 Find Helpful Marketing Research Tips, Techniques, Topical MR Industry News, Advice, Best Practices, New Legislation, Insight on MR Trends, Commentary and more. We’re Thankful for our Respondents! Do Not Call List: What Is the Impact? Boomers: Don’t Count Them Out! Looking For Primary Or Secondary Research?